This year, Compton Verney has the honour to be partner of the National Gallery’s masterpiece tour 2015. In the first half of the year the exhibition Canaletto: Celebrating Britain shows a collection of paintings and drawings, which the Venetian painter created during his long-term stay in Britain between 1746 and 1755. The exhibition will be accompanied by Canaletto’s masterpiece A Regatta on the Grand Canal, which is a loan from the National Gallery. 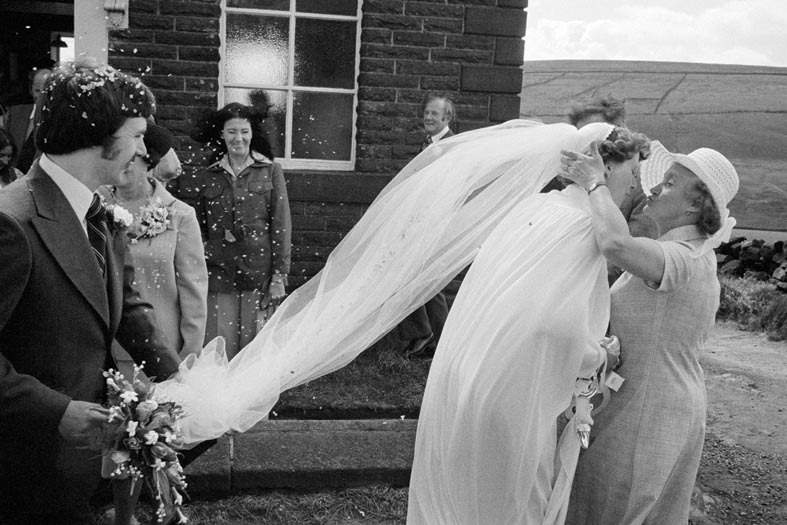 At the same time, The Non-Conformists exhibits the work of photographer Martin Parr. Over a period of five years the artist documented a community in Yorkshire whose traditional lifestyle was organised around church and hill-farming. The black and white photographs give a unique insight into the conventional life of a disappearing English community in the 1970’s. In June, Compton Verney will show a large exhibition on the Arts in Crafts movement in 19th century England. The Arts and Crafts House: Then and Now explores the history of design and domestic territory. Featuring the work of artists and designers such as John Ruskin, Louise Powell, Ernest Gimson and many more, the collection celebrates the fascination for the design of home and garden and its influence today. Highlight of the exhibition is a mown parterre (a formal garden), created by landscape architect Dan Pearson, which is based on the designs of the legendary William Morris. This entry was posted in Art, Birmingham, Exhibitions and tagged Art in Birmingham, Canaletto: Celebrating Britain, Compton Verney, Exhibitions, Martin Parr, The Arts and Crafts House: Then and Now, The Non-Conformists. Bookmark the permalink.